Fireworks, festivities and fair trade! 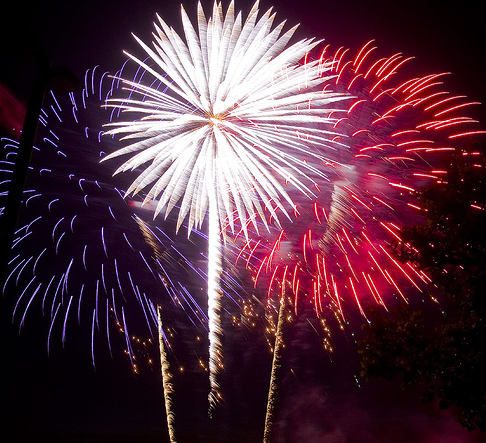 This year when you are celebrating Independence Day by watching the sky light up in bright bursts of color remember that this day commemorates how the United States gained the freedom to support itself and become an independent nation. Supporting fair trade means supporting working independence of farmers, artisans, builders, crafters and laborers around the world by providing them safe working conditions and the wages to care for their families and build a life upon. Here are a few ways you can use fair trade products to celebrate the Fourth of July in style while helping others gain their independence as well! Off to a barbecue potluck with friends or a family reunion this holiday and not sure what to bring? 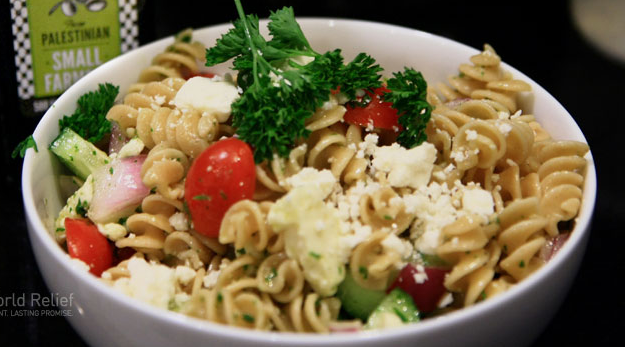 How about some delicious pasta salad made with Equal Exchange Fair Trade Olive Oil? If you’re in charge of dessert Ben and Jerry’s Ice Cream is always a crowd favorite and every flavor is proudly stamped with that fair trade logo like a badge of honor. Maybe you are more interested in providing refreshments for the day’s festivities? Mongozo’s Exotic Banana Beer has that sweet taste of summer and social responsibility in every fair trade bottle. If you’re looking for something with a little more punch to go with those booming fireworks perhaps Papagayo’s Organic Rum will spark your interest? 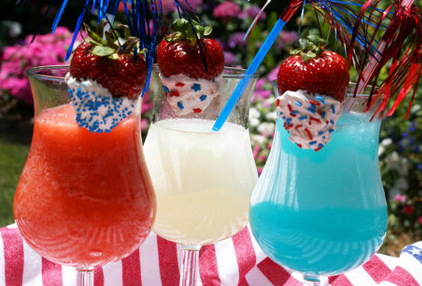 Here’s a recipe for a patriotic array of red, white and blue daiquiris that are gaurenteed to get everyone into the holiday spirit(s)–pun intended. 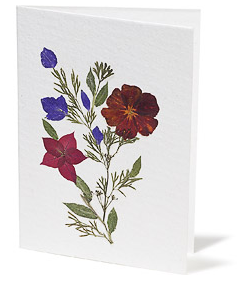 If you want to wish your relatives and friends who couldn’t be there with you to celebrate this festive holiday a Happy Fourth of July, remember that Hope For Women’s beautiful handcrafted and eco-friendly cards are sure to brighten anyone’s day like a firework brighten’s the sky. We here at Hope For Women hope you found these fair trade suggestions helpful and wish you all a happy, fun-filled and safe Independence Day this year.